Surface acoustic wave (SAW) technology uses ultrasonic waves that pass over the touch screen panel. When the panel is touched, a portion of the wave is absorbed. This change in the ultrasonic waves registers the position of the touch event and sends this information to the controller for processing. 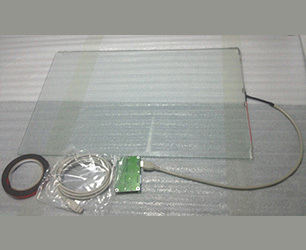 Surface wave touch screen panels can be damaged by outside elements. Contaminants on the surface can also interfere with the functionality of the touch screen. 5.Lead Time: Sample for testing acceptable, 2-5 days delivery time after payment confirmation. 6.Application: MID, digital photo frame, vehicle GPS, POS, kiosk. ad displayer, ATM, inquiry machine, terminal equipment, self-service device, medical equipment, industrial equipment, game machine, education displayer, ticket machine, etc.